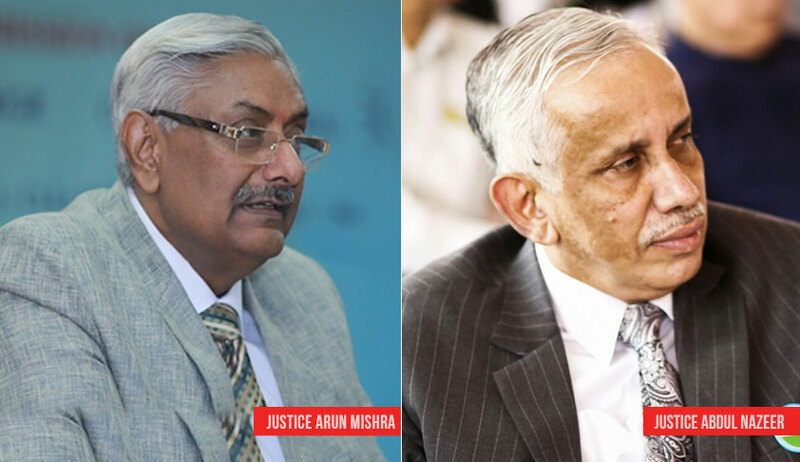 A bench of Justice Arun Mishra and Justice S Abdul Nazeer set aside a judgment of division bench of Patna High Court that held that the Central Government has the power to appoint a team of inspectors in order to grant permission and to approve the particular scheme. The division bench had reversed the single bench judgment, which has now been restored by the apex court. The bench observed that under Section 17 of the Act, duty has been enjoined upon the CCH to appoint a team of inspectors. “Such a power has been specifically conferred on such Expert Bodies under various enactments also. It is the function of the expert bodies in the field and they are supposed to appoint a team of Inspectors and it is for expert bodies to make the recommendations to the Central Government. The role of the Central Government is a supervisory one and not to start an investigation by making the appointment of a team of Inspectors, as that is not envisaged under the Act of 1973 itself,” the court said. The court also held that only the Central Council which is empowered to appoint a team of inspectors under Section 17 and visitors for the examination under Section 18 for making recommendation to the Central Government on the basis of report submitted 15 by the team of inspectors or visitors as envisaged under Sections 17 and 18 of the Act.